Anesthesia is an important part of every oral surgery procedure. And thankfully, we have a wide spectrum of choices available to us today. We can block pain, calm your nerves, and even give you a restful sleep if you want while we work through your procedure. Oral surgeons are trained and qualified in all types of anesthesia, from local to general and everything in between. We spend at least four years in residency in a hospital learning how to evaluate, deliver and monitor patients under anesthesia. 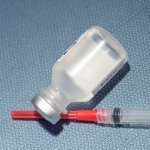 Local anesthetics such as “lidocaine” are used in nearly all oral surgery procedures. These medicines are administered directly to the surgical site and numb the tissue so that you feel no pain. For some minor procedures such as soft tissue and simple extractions, a local anesthetic is all we need (although you may choose additional methods) to get the job done. For some people, the use of an oral sedative about an hour before the procedure can help with anxiety. While oral sedatives aren’t enough on their own to eliminate pain, they provide patients with a sense of calm prior to the procedure. Local anesthesia is then used to numb the surgical site. Commonly known as “laughing gas”, this treatment involves a mixture of nitrous oxide and oxygen, administered through a breathing mask. You are conscious but relaxed and may not remember everything that happens during the procedure. 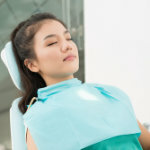 Nitrous oxide provides some pain-relief, but is not comprehensive – it is typically used in conjunction with local anesthesia for total pain control. This type of sedation is very comfortable, and doesn’t involve a lengthy recovery phase like general anesthesia does. With “twilight sedation”, you are awake (or drifting in and out of sleep) for the procedure, but you are comfortable and calm, and may have no memory of the surgery when you “wake up”. This type of sedation is administered through an IV in our office and can be reversed at any time with an antidote – it is a safe and very effective way to perform procedures on patients who have anxiety about surgery. It is suitable for most oral surgery procedures. In-Office General Anesthesia: For patients that aren’t at risk of needing ventilators and don’t necessarily need complete muscle relaxation, we can perform general anesthesia in our office to eliminate pain and anxiety. General anesthesia has a longer recovery period than “twilight sedation”, requiring several hours for it to wear off. It is the preferred choice for some conditions that don’t allow for adequate anesthesia otherwise. Hospital General Anesthesia: There are some procedures such as jaw surgery and some patients (those with serious health conditions), who must have anesthesia administered in a hospital for safety reasons. Your safety is our number priority. Oral and maxillofacial surgeons have an excellent safety record in anesthesia. The training for anesthesia during oral surgery residency is very extensive, more so than for any other health specialist, with the exception of anesthesiologists. 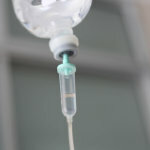 Fast: No food or drinks 8 hours prior to your procedure if you are having IV (“twilight”) sedation or general anesthesia. Bring a Buddy: You will need a responsible adult to accompany you to your appointment and drive you home following IV or general sedation, or if you are taking oral sedatives. Comfort and Care: We will make you comfortable before, during and after your procedure using the discussed anesthesia plan. Visit our Before Anesthesia page for complete instructions. If you have any concerns about an upcoming procedure, please give us a call, we are here to answer any questions you may have and ensure the best experience possible. Oral & Maxillofacial Surgeon, Michael Wasson DDS, practices a full scope of oral and maxillofacial surgery with expertise ranging from corrective jaw surgery to wisdom tooth removal. We can also diagnose and treat facial pain, facial injuries and TMJ disorders, and perform a full range of dental implant and bone grafting procedures.